We’re makin’ Tax Day a little less painful with 3 ir-rib-sistible ways to enjoy yourself on Monday, April 15. Join us for a half priced St. Louis Rib dinner. C’mon over for our Irresistible Ribs Special on 4/15. 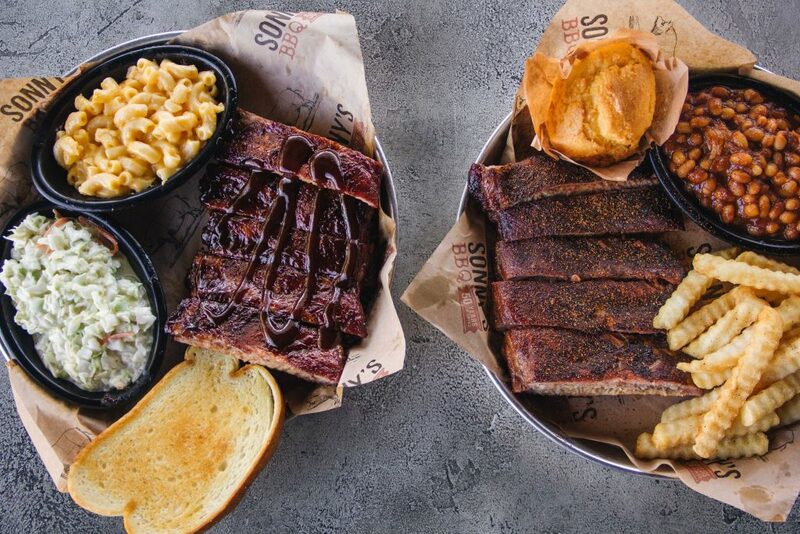 Choose either Sweet & Smokey or House Dry-Rubbed St. Louis Ribs, two sidekicks and bread. Is your mouth waterin’ yet? Invite an old friend to come along with you. There’s no tellin’ how it happens, but BBQ surely helps bring people together. After you file, catch up with an old friend over your slow-smoked favorites and a refreshing glass of iced tea. Tingle those taste buds with our spin on ASMR. Settle in and let the sights and sounds of St. Louis Ribs bein’ prepped for a hot smoker relax your mind before diggin’ into our Irresistible Ribs Special. RSVP ‘Going’ to the BBQ we’re throwin’ on Monday, April 15 right here.